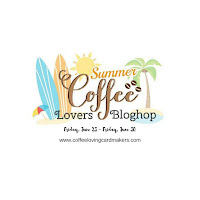 Another Coffee Lovers Blog Hop is here and of course, I had to post something on the first day. I combined my love of books and coffee for this card that is being sent to a friend of mine in Munich, Germany. I think that Gina loves books and coffee as much as I do !! I started with an apple green card base and placed a piece of my hoarded Public Library paper by October Afternoon on top of that as a background. I have had this paper for a LONG time and just couldn't bring myself to use it until I was working on this card for Gina & the Blog Hop. The stamped image is Chapter One from Unity Stamps that I colored with my favorite markers - a combination of Distress markers, PITT Artist pens & Stabilos. The image and sentiment were stamped with Memories India Black Ink. The books were stamped on Neenah Stardust White Cardstock and the sentiment was stamped on Kraft cardstock. I adhered everything using my Bazzill Permanent Adhesive Runner. A bit of glitter was used on the steam rising out of the coffee cups. I'm looking forward to seeing all of the projects linked up to this Hop. 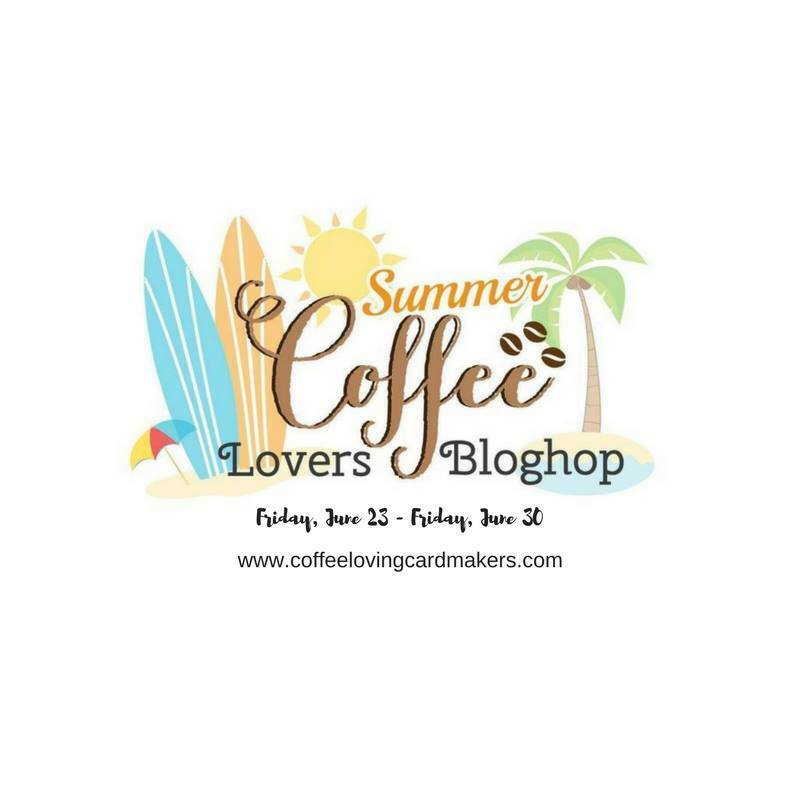 They are always amazing and inspire me to make more and more coffee/tea/cocoa cards !! Thank you for visiting Meticulosity... I'll be offering some blog candy to someone who comments on my posts throughout the Hop. This is wonderful Deb! Love the Apple Green base! Super cute card! I really need some book image stamps in my life! I love to read and know many others who do as well. Great job. Ahhhhh....coffee and reading are two of my favorite things! I need to rummage through my stamps to see if I have a book image to pair with a cup of coffee for that perfect combination. I like the books and coffee together although I prefer tea. Love this gorgeous, vintage feeling card! Great for a dear friend! I love this and all the pretty coloring! Love Unity - they have some awesome stamps. Love the library card BG!! Hi Debra, coffee and books is just the perfect combination. Great card for your friend! We love books in our house and I love coffee...so this card is a favorite. Your patterned paper is just perfect with this image for a great book-lovers project. Love this! Perfect papers and great design! Coffee and a good book... a great combo! Fun card! Wahoo! Outstanding card, my friend! Super great as reading and coffee go hand in hand! Love how you did the coloring too! Debra, I love the combo of tea and books! Sylvia D.
So creative, love that paper you have been hoarding. Love that image of the coffee and books!! Hi there! Did you ever announce a winner for your blog candy on the hop? Thanks!